The beautiful princess horse enchants with its long, shiny mane. 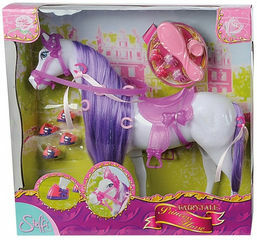 It comes with 12 accessories for decorating and styling the horse's hair. Suitable for children aged 3 years and over.